Last weekend, I photographed Jessica and Jeff’s Bear Brook Valley Wedding in Fredon Township, NJ. We had a beautiful spring day and their rustic and romantic wedding was filled with so much love, joy and sunshine! I am so happy to share their wedding. Jessica and Jeff met online on Ok Cupid and Jeffrey had in his profile that he is actually his height and that he can help you get things on high shelves. Jessica messaged Jeffrey saying she was short and needed help getting things on high shelves because she usually just climbs like a monkey and the conversation just flowed from there. Their first date was April 26th, 2014 and Jess and Jeff walked the Brooklyn Bridge at sunset followed by pizza at Grimaldi’s under the bridge and then took the subway to Flat Iron Hall for some beers. 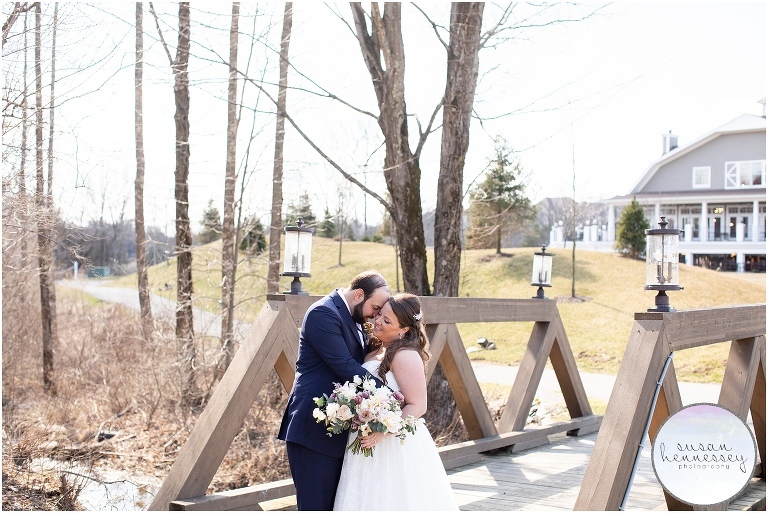 Bear Brook Valley was the perfect backdrop for their day and Jessica thought about every single detail. Her necklace held the diamond from her late grandmother’s engagement ring and the pins on her bouquet also belonged to her. Her gorgeous bouquet by Twisted Willow Flowers was filled with Mauve ranunculus, quicksand roses, snowberries, astilbe, peonies and amnesia roses. Jessica’s purse was made from the fabric from her mother’s wedding gown and she even had a piece sewn into her dress. Another thing about Jessica and Jeff was that even Jeff thought about the small details and he had the coordinates of their first date along with and their wedding date embroidered into his suit jacket. Once Jessica was in her lace Maggie Sottero gown, she made the long walk to the bridge to see Jeff for their first look. 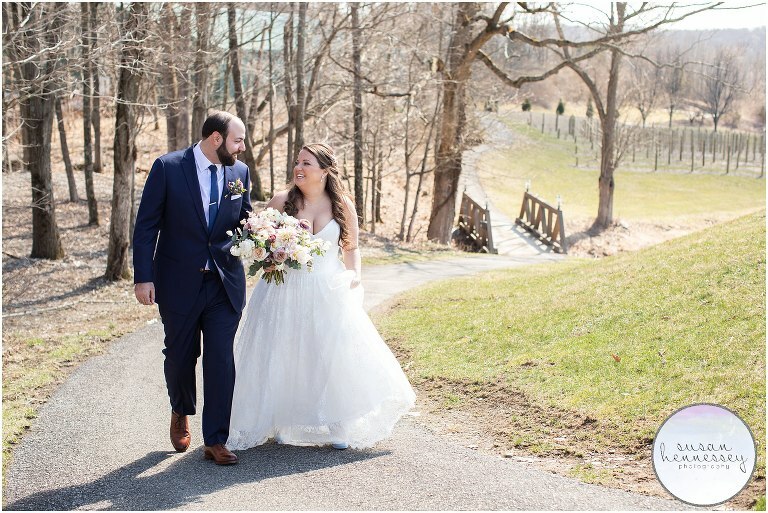 Following the first look, we had nothing but sunshine and joy! These two laughed and they loved every second being together for their portraits. 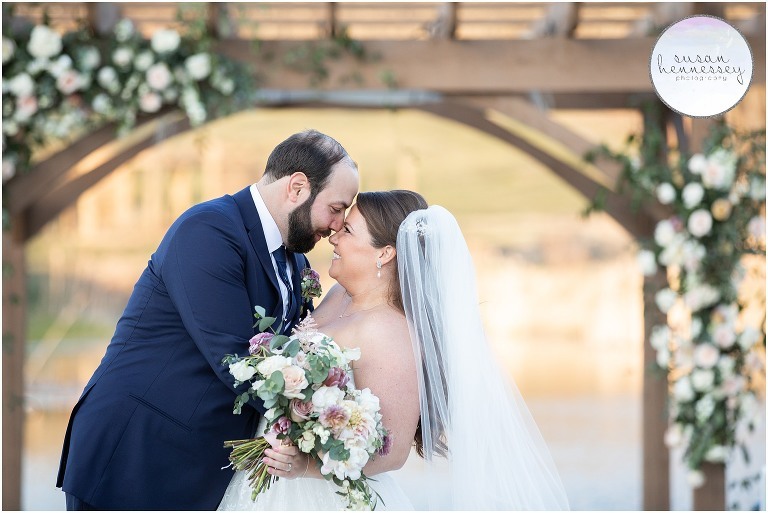 Their personal touches continued throughout their Bear Brook Valley wedding into the ceremony, they wrote their own vows and read them to one another underneath their gorgeous chuppah before finally breaking the glass. Their cocktail hour had a stunning sunset and we were able to capture a few golden hour portraits before their reception. Again, their personal touches continued into their reception, their challah bread was made by Jessica’s mother, the prayer was performed by her grandfather and the kiddush cup used was Jessica’s great great great great great grandfather who survived nazi Germany. Jessica and Jeff love to travel and hope to continue doing so, so far they have been to Ireland for Jeff’s 30th Birthday, Barcelona for Jess’s 30th Birthday, Curacao for their 3 year anniversary and Costa Rica for Christmas vacation with Jessica’s Family (Where Jeff asked Jess’s Dad for his permission to marry her). And now they are off on an exciting honeymoon and are visiting Vietnam, Bali and Singapore. They would also love to have children, they talk about how Jess will teach the kids Math while Jeff makes them pancakes. 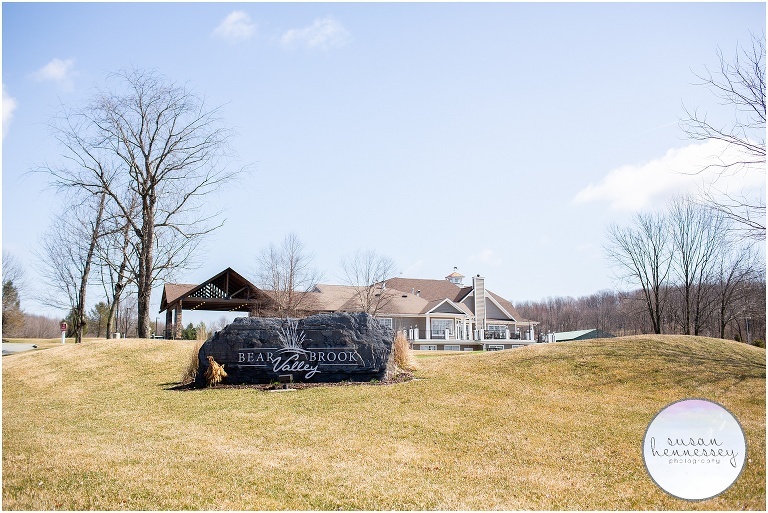 Are you planning a Bear Brook Valley wedding? I’d love to chat further, click here to fill out my contact form for more info!